SEO in the automotive industry is changing significantly for 2019. Here we take a look at recent trends for automotive SEO services as well as PPC for auto dealers. 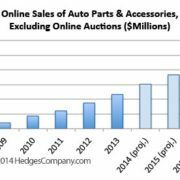 All forms of marketing, not just SEO marketing, plays a heightened role as the automobile industry struggles with recent flat sales. Even though 2018 was the fourth year with 17 million units sold, NADA predicts a drop of 1.1% to around 16.8 million units in 2019. Video plays a bigger role than ever in SEO marketing for automotive. A recent statistic from Google shows that video influenced the shopping habits of 75% of automobile shoppers. That comes from a July 2018 Google/Ipsos research study, “How People Shop with YouTube.” It was conducted among 18–64 year olds who go online at least once per month and also purchased a car in the last year. 75% of automobile shoppers say online video influenced their shopping habits or purchases Click To TweetThat’s a major change for auto dealerships. Especially if they traditionally rely on traditional media like television advertising. Video helps today’s research-obsessed consumers discover new vehicles. It also helps consumers compare potential purchases. SEO marketing in the automotive industry targets in-market consumers. On the other hand, traditional television advertising reaches anyone, whether they’re looking for automobiles or not. Data-driven attribution selection example courtesy Google Ads blog. Automobile dealers face new challenges with proper utilization and analysis of data, to be able to evaluate SEO marketing. A case in point is accurate attribution for marketing. Let’s drill down into data-driven attribution vs. the outdated last-click attribution model. 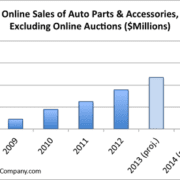 This primarily affects PPC for auto dealers, instead of SEO. But, this search trend is important to understand for either channel because of the increasing need to understand proper attribution. The search process doesn’t begin or end with consumers searching for the same thing. Today’s consumers are obsessed with research. They don’t necessarily know the exact product to look for. Shoppers click on many ads and organic search results before converting to a buyer. This makes it difficult to give proper attribution to the conversion. Last-click attribution ignores all clicks except the last “reserve a test drive for the exact car I know I want” click Click To TweetLast-click attribution is the default choice in Google Ads. Last click ignores all clicks except the very last, “buy the exact product I know I want” ad click. What if the interaction is a conversion? Then, it ignores all clicks except the last “reserve a test drive for the exact car I know I want” ad click. SEO marketing in the automotive industry is more effective if you manage SEO for many paths to purchase. Keep in mind people don’t always know exactly what they’re looking for. They also don’t know exactly what they’re going to buy. Data-driven attribution is important for PPC for auto dealers because effective SEO marketing is about topics instead of keywords. Next, we compare topics vs. keywords in our next trend, covering semantic search and latent semantic indexing. Don’t just focus on synonyms that are latent semantic indexing keywords. Look at keywords that relate to the basic topic that you’re optimizing. Latent semantic indexing, or LSI, is important for SEO marketing. To be truly effective you must understand how LSI influences consumer search. Today, SEO marketing is more about topics than it is about individual keywords. Latent semantic indexing describes how search engines relate hidden meanings (or “latent”) when certain words (or “semantics”) are connected together. As an example, the words “cold,” “air” and “intake” taken separately have many meanings. Once you join these together as “cold air intake,” the meaning, or semantics, suddenly become clear. We know this is related to a car part. For another example, look at the Google SERP screen shot. 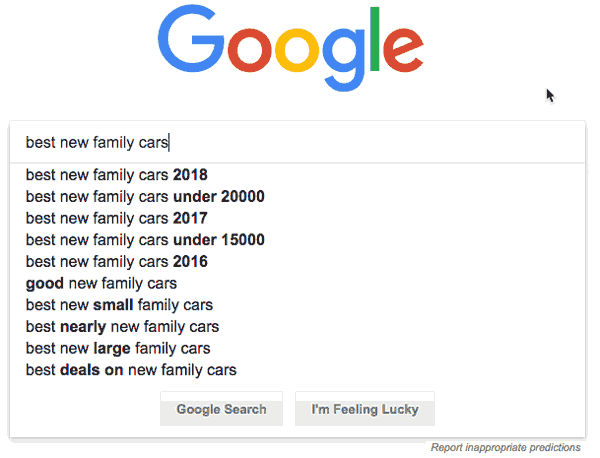 “New,” “family” and “car” as individual words have many potential meanings. The semantics become clear when these are joined as “new family car.” Now, search intent is more clear. That’s how latent semantic indexing plays a role in SEO marketing. To be effective at SEO marketing to automobile consumers, you must first understand the topics you need to be visible for. You also need to know how LSI relates to specific sub-topics. Also note the search suggestion “best new small family cars under $20,000.” That indicates that families searching for cars are also interested in finding good deals. LSI is also important for PPC for auto dealers, not just SEO. Try your own free test for LSI topics. Start typing any search phrase in Google. Related topics will automatically show up as Google suggests them. There are arguments that you can’t directly optimize for LSI search terms. Fair enough. But you can use LSI search terms to understand related phrases and sub-topics, which is the point we’re making here. After all, Google is showing you related phrases that people actually use. Google is also showing you phrases that a searcher may decide to click on, abandoning the original search, because the suggested phrase is more relevant. Not all searchers know what to search for, when they start a search. Google and LSI helps the searcher narrow the search. Graphic courtesy of Think With Google blog. There has been explosive growth in local searches, including “near me” search, as reported by Lisa Gevelber, Google’s VP Marketing for the Americas. According to Google, “near me” mobile searches contain a variant of “can I buy” or “to buy.” These have grown over 500% over the last two years. 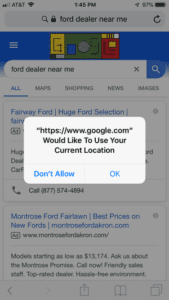 In 2017, Google observed that smartphone users drop location qualifiers such as ZIP codes or neighborhoods from local searches. This is because smartphone users now assume their local search results will be relevant to them because of their phone’s location. 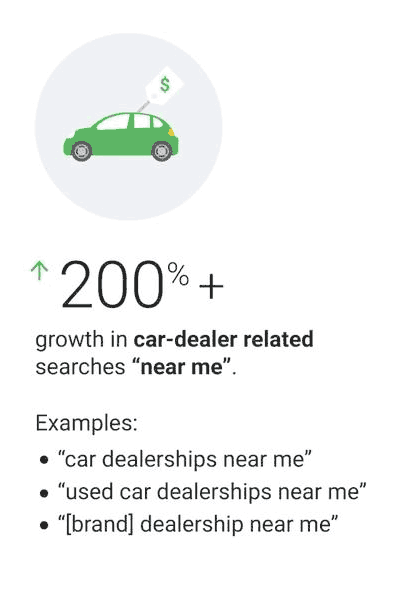 There has been more than a 200% increase in “near me” searches related to automobile and truck dealers. Local search also uses phrases like “…open now near me,” “…near me right now,” indicating the immediacy of these local searches. Google My Business (GMB) also plays an important role in local search results in 2019. In order to show up for local search results make sure your GMB account is claimed, your business hours are entered, and make regular posts through GMB. These techniques improve your organic results for local searches. Does your automotive website NAP? Take advantage of this local search activity! Your automobile dealership website must have NAP information. NAP stands for Name, Address and Phone. This information should be on every page of your website along with hours of operation. This can be in the footer, or in the header. These pages should all be marked up with schema like JSON-LD code to help search engines understand the NAP information. Also make sure your Google My Business information is completely filled out. Make sure you have a GMB account and check that your hours match your website’s hours. Have you ever done a search for something “…near me” on your phone? Have you seen the popup window that Google would like to use your current location? Do a good job adding NAP and JSON-LD to your website and do a good job completing your GMB profile information, and you are more likely to show up for local search results. 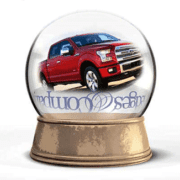 By the way, it should go without saying an automotive dealer website must be mobile-friendly in 2019. After all, these local searches are on mobile devices. For PPC for auto dealers, it is important to include location extensions in Google Ads. These extensions can show distance to a location, a location’s street address, or clickable call button. It also gives access to information about the location such as hours, directions or photos. 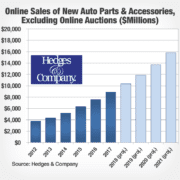 Traditionally automobile dealers rely heavily on paid listings through third party websites such as Cars.com or Autotrader. With the increase of importance of local search results, there’s a big opportunity for auto dealers to send local search traffic to their own websites instead of relying on third party sites. Our observation is that more auto dealers want to send traffic directly to their own website in 2019. This leads to questions on how to improve the function of their own website, or how to improve lead generation for local search results. 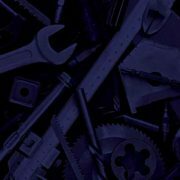 Do you have questions about automotive SEO services? If you have more questions on anything in our article, please don’t hesitate to give us a call.